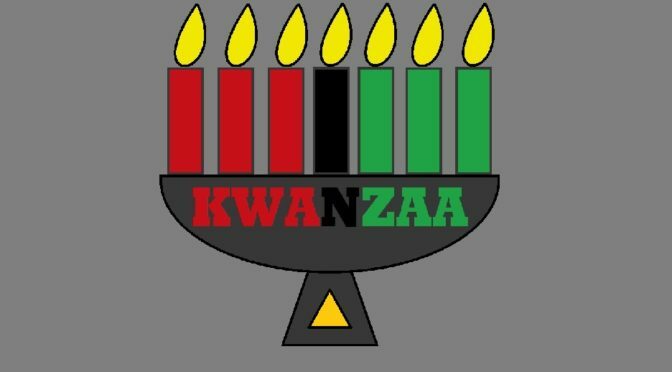 If you ask most people about Kwanzaa, they will probably say that they have heard and seen the term at some point, and they may even say that it is celebrated mostly in the Black community. But after that, the details get spotty at best. It’s easy to associate this tradition with Christmas because it begins on December 26th of each year, and ends on January 1st. But Kwanzaa is a Communitarian holiday not based in religion, but is rather a celebration of the culture, struggle and hope of African people. Let’s learn more about this special holiday from its founder, Dr. Maulana Karenga writing for Ebony Magazine on the 50th Anniversary..
We remember our history and the legacies left and the people who made and left them for us and the world. We reflect on the expansive meaning of being African in the world, on the context and issues of our times, and on our way forward in struggle to forge a future responsive to our needs and interests as well as those of the world. And we recommit ourselves to our highest values, to our most anchoring, elevating and liberating practices, and as ever to the good of our people and the well-being of the world. At this historical milestone and marker, it is good to remember and reflect on the origins of Kwanzaa, not only in the ancient African festivals of harvest and shared good, but also its origins in the relentless and righteous struggles of the 60s (i.e., the Black Freedom Movement for freedom, justice, equality, and power of our people over their destiny and daily lives). For deeply embedded and ever-present in the celebration of Kwanzaa and the practice of its founding principles, the Nguzo Saba, is the constant call for and commitment to striving and struggling. Here, I use striving and struggling interchangeably, with the meaning being exerting great and focused effort to achieve, excel and advance. For the struggle, as we imagined and waged it and continue to do so, is not only to defy and defeat the oppressor, but also to overturn ourselves, removing from ourselves the legacy of oppression, clearing social space in which we can live, love, work, build and relate freely, and striving diligently then to come into the fullness of ourselves. Kwanzaa, then, was conceived, born and came into being in the midst of struggle, in the fires and furnaces of the Black Freedom Movement, and therefore carries within it this legacy and the lessons from it. Though it honors contributions which originated on the African continent and takes it’s terminology from the African language of Swahili, the first Kwanzaa was actually celebrated in the United States. Now after 51 years, people all over the world observe this rich holiday tradition. 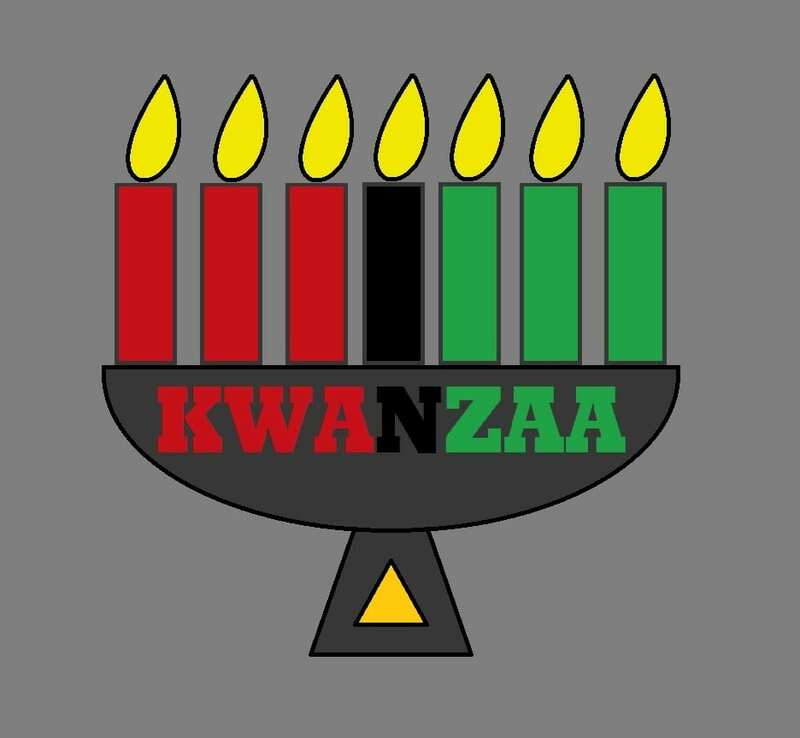 The colors of Kwanzaa represent unity and commonality for peoples of African descent… Black for the people, Red for the struggle, and Green for their progress, and the hope for prosperity and achievement. 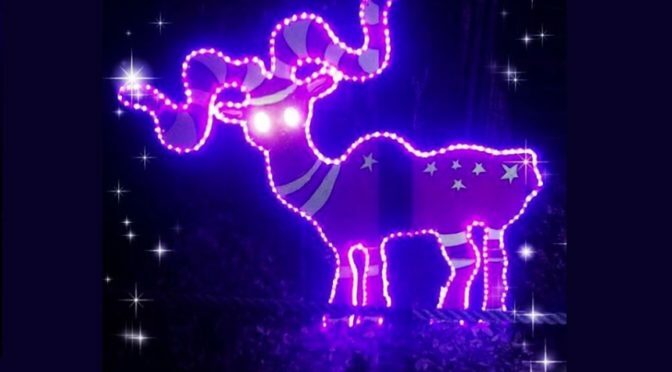 With the rise of movements like Black Lives Matter and such current and complex political struggles, it’s no surprise that recent years have seen renewed interest in the holiday festival. Another great Kwanzaa resources is a 2008 film, The Black Candle. The film, directed by M. K. Asante and narrated by Maya Angelou, is an in-depth examination of the holiday’s history, connections to the Black Power movement and other socio-political factors which surround its founding. As we close out this year and wind down on a very busy season, Kwanzaa offers an opportunity to not only celebrate the year’s triumphs and the many incredible contributions of the Black community, but to help set important goals to achieve in the coming year. With the complex challenges that are present today, we need holidays like this one perhaps more than ever. Do you celebrate Kwanzaa, or have you celebrated in the past? What are your thoughts on this holiday? Let me know in the comments. Heri za Kwanzaa / Happy Kwanzaa everyone! Off the Kuff looked at Democratic filings for State Senate and for races in counties neighboring Harris County. SocraticGadfly took a look at various regional election filings by both D’s and R’s in Northeast Texas and in the Metroplex, while wondering when and how Joe Straus is going to stay active in GOP politics. The lingering Russian obsession that has morphed into neo-McCarthyism has PDiddie at Brains and Eggs more than a little perturbed. Even as the state continues to surge in population and become more concentrated in key cities and suburbs, any politician would be unwise to ignore the voices of rural Texans. Texas Leftist believes that 2018 is the year for Texas Democrats to leave their urban safe zones and reach out across all areas of the state. For those brave enough to run a true, comprehensive statewide campaign, this dedicated community of voters provides a great place to start. Neil at All People Have Value wrote about a great work of public art in Houston called Hubcap In Grass. APHV is part of NeilAquino.com. And here are some posts of interest from other Texas blogs. Jeff Balke celebrates the end of Christmas commercials on TV. Better Texas Blog highlights the impact on Texas of a national DREAM Act. Paradise in Hell steals a look at Roy Moore’s Christmas playlist. Texas Vox calls for private industry to contribute to Harvey recovery. The Lunch Tray bemoans the utter failure of “self-regulation” to limit exposure of junk food ads to kids. G. Elliott Morris recommends the best political books he read this year. Wired Magazine pens a long and deservedly appreciative profile of Eric Berger, the Space City Weather founder who everyone turned to for information about Harvey. Holiday Stress: Watch Out In The Parking Lot!! For all of their positive benefits, the Holidays is often the most stressful time of the whole year. Be it physically, emotionally or financially, it’s easy to become over-extended during this fast-paced season. It’s also very easy to become distracted. During the holidays, parking lots at malls, shopping centers, and supermarkets are packed, increasing the possibility of a fender bender. It’s a very common situation. 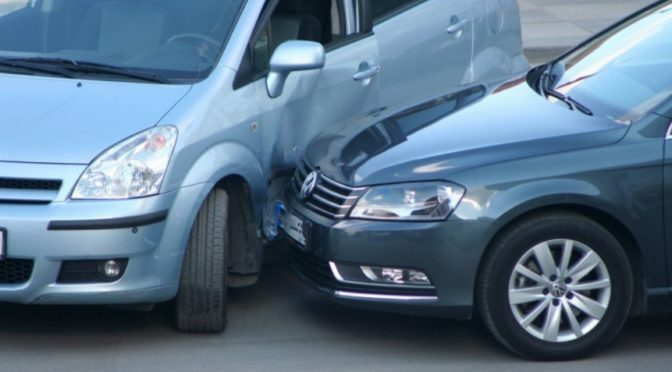 Parking lot accidents increase by 20 percent during the busy holiday season. The holidays create a perfect storm for accidents, especially in busy, congested parking lots. “They’re so many vehicles on the road and in the parking lots. You add more vehicles and people, accidents are bound to occur,” said CCPD Lt. Timothy Frazier. With all this activity and chaos in a small area, it’s no wonder that many car accidents happen in parking lots. And don’t forget… unlike city streets, highways and other public roads, parking lots are often going to be private spaces owned by businesses, so it’s not a matter that can be handled by the police. BUT by law when an accident occurs, you and the other party are REQUIRED to exchange information, so you can inform them of that. So in addition to dealing with increased traffic on the roads themselves, this is a helpful reminder to keep your guard up when you arrive and exit a busy destination. And by “it” I do sincerely mean President Donald Trump. For once, and maybe only once, Texas Leftist is going all in to celebrate our nation’s most distinguished 45th President. After all, if the point of the cult holiday Festivus is to air our many grievances and let people know how much of a DISAPPOINTMENT they’ve been throughout the year, then it’s a holiday tailor made to recognize our fearless leader. So, for the rest of us, here’s my Festivus list, with a TON of help from Jenna Johnson of The Washington Post, who did an excellent job of documenting 282 promises made by Trump when he was on the campaign trail. Trump’s Infrastructure Plans have deconstructed . Remember all those good, America First jobs our President planned to spur by rebuilding the nation’s infrastructure?? Though Trump continues to pay lip service to the idea, any actual plans have stalled out. It’s a far cry from President Obama’s American Recovery and Reinvestment Act, which was off and running well before the close of 44’s first year in office. Whether one agrees or disagrees with that project, we can’t deny that it did put people to work, and tackled several infrastructure projects. Trump has long promised to protect the working class, create at least 25 million new jobs, and bring back manufacturing jobs from overseas, going all across the country telling steel mills, coal mines and other factories that they’ll be back in top production, and to rebuild communities that have been affected by automation. MAGA, right?? But if that is indeed his intention, it sure doesn’t reflect in the recent Tax Giveaway Law. Though Americans will see a slight bump next year (well-timed for the 2018 Election), after that working families are going to be footing the bill while the 1% receive very large tax breaks. On Coal and Steel? While true that there has been a slight uptick in the coal workforce since inauguration, the nation’s Steelworkers are going into their holiday season with a new round of layoffs. Steelworkers are dependent on the Federal Government to pursue aggressive new trade deals which can promote American goods overseas. And as for all of those jobs rushing back to us from overseas??? Kinda tough to do when the Trump Administration would rather infuriate and bully other world leaders. So far, “the greatest jobs president that God ever created” isn’t getting the job done. Tax Reform that would simplify the Tax Code, and Reduce the number of Tax Brackets. OK!! At long last, we’ve got a promise kept here people!! Before the GOP-led Tax “Reform” bill was signed into law, we had a total of 7 Tax brackets. After the bill’s passage, we have 7 Tax brackets!!!!!!! The truth is, the Tax bill didn’t really simplify anything. All those loopholes that were to be closed, basically none of them were. But any guesses as to what the GOP did accomplish in this bill?? With less money coming in to the Government, Republicans are now saying they’ll be forced to cut Government services like Social Security, Medicare and Medicaid and CHIP. No, seriously, House Speaker Paul Ryan and Senator Orrin Hatch are already talking about it. Guarantee 6 Weeks Paid Family Leave? It was a nice gesture, but no. Has Trump himself ever even mentioned this, or was it just First Daughter Ivanka? DRAIN THE SWAMP!! Ah yes, a personal favorite of Trump while on the campaign trail, where he promised to end the influence of lobbyists in Washington, and be the “most transparent President, ever”. Yet since his inauguration, our nation’s capital has reached a new low. We can barely keep up with the daily litany of scandals and lies, with no end in sight. 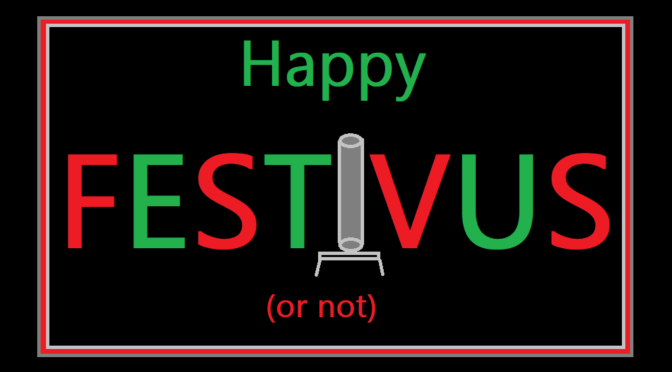 We could go on, but that’s going to have to suffice for this year’s Festivus. After a year’s wait, it feels great to finally celebrate our nation’s leader on the day that’s appropriate. 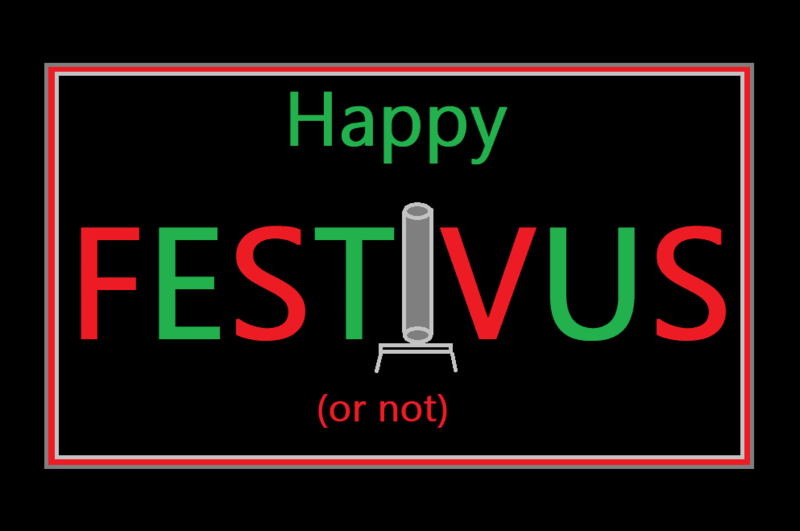 Happy Festivus, Mr. President!! You’ve Been a Real Disappointment to us all. If you like this Texas Leftist post, please consider a donation. The funny thing about our Republican leadership in Congress… for certain things they ALWAYS seem to find time. 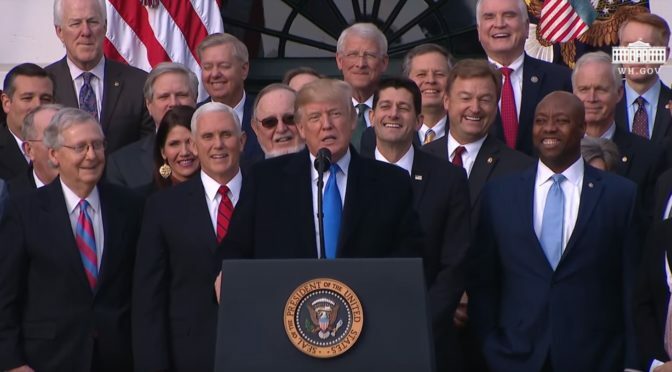 After passing “the largest tax cut in our nation’s history”, which don’t forget is also the single largest ballooning of the deficit in our nation’s history from legislation, President Trump, Senate Majority Leader Mitch McConnell, Speaker of the House Paul Ryan, and a bunch of other GOP lawmakers were nothing short of jubilant. Had they stayed long enough, there would’ve been dancing in the streets. IT’S BEEN 82 days since Congress let funding for the Children’s Health Insurance Program expire. For months legislators have promised the public they would get it done — certainly by end of the year — working on a deal that would reauthorize the program for the next five years, at the cost of $8 billion. But in a stunning turn of events, the House of Representatives released a continuing appropriations bill Wednesday that would keep the government open and extends CHIP funding only until the end of March, at the extraordinary cost of $2.8 billion. In order to avoid a government shutdown, legislators have until midnight on Friday to fund the government. In addition to shorting CHIP, the bill also does not grant legal protections to so-called Dreamers, children brought to the United States without documents whose legal status is in jeopardy. House Minority Leader Rep. Nancy Pelosi, D-Calif., has been pressing Republicans to include the DREAM Act as part of the spending measure. Without it, Republicans will need to find the votes to keep the government open on their own. Drew Hammill, a spokesperson for Pelosi told The Intercept that Democrats are whipping their members to vote against the continuing resolution. As they celebrate, kids and families in all 50 states are wondering how many weeks or months they will have healthcare for critical needs through the Children’s Health Insurance Program. As they celebrate, Texans in Gulf Coast communities like Rockport and Port Aransas are still waiting on Trump’s promise to help them rebuild in the wake of Hurricane Harvey. As they celebrate, American families of mixed immigrant status continue to live under the threat of being ripped apart by deportation, as comprehensive Immigration Reform now seems like a distant memory, and the Dream Act has barely been mentioned, except by Democrats. As they celebrate, Americans are forced to walk, bike and drive on an aging infrastructure, wondering how long it will last, and if Trump really intends to keep his promise to rebuild like we’ve never built before. Nice try TRUMP and Republicans, but the time to pass an actual BUDGET and not a Continuing Resolution was long ago. A PATHETIC, 3-week CR for the holiday break is unacceptable. If the GOP truly cared about the American People they would have put our priorities FIRST. So enjoy the Grand Ole Party, Republicans. We’ll see if the American People can end it on November 6th. Part 2: Lessons For Texas Democrats In Alabama’s Big Victory? Y’all ready for this Two-Step? Here’s Part 1 in case you missed it. Along with strong support in the suburbs, The incredible surge of African-American voter turnout also proved to be a big boost for Jones. Black voters showed up at historic levels to support the Democrat. Exit polls showed that black voters made a big splash. The Washington Post’s exit polls indicated that black voters would make up 28 percent of the voters, greater than their 26 percent share of the population, which would be a dramatic turnaround from previous statewide special elections in the South, including a special election for the Sixth District in Georgia, which saw black support for Democratic candidate Jon Ossoff dissipate on Election Day. As the Cook Political Report editor Dave Wasserman noted on Twitter, turnout was particularly high in the counties with the largest black populations. In Greene County, a small area that is 80 percent black and that Martin Luther King Jr. frequented in his Poor People’s Campaign, the turnout reached 78 percent of that of 2016, an incredible mark given that special elections and midterms usually fall far short of general-election marks. Perry County, also an important mostly black site of voting-rights battles of old, turned out at 75 percent of 2016 levels. Dallas County, whose seat is the city of Selma, hit the 74 percent mark. And while the exact numbers aren’t in for all of the majority-black or heavily black counties, black voters appear to have favored Jones at rates close to or more than 90 percent. It’s always an unsure proposition to play “identity politics”, but for a whole host of reasons, African-Americans have become one of the most reliable, most well-informed and most consistent voting blocks in the nation. And by and large, they show up to vote for Democrats. So it should be no surprise that if Black voter turnout is high, it spells trouble for most Republicans. Remember all of those ultra-stringent Voter ID laws Texas (and Alabama) keep passing? Yeah they’re aimed squarely at weakening the Black vote. While the recent dogma for Texas Democrats has been to pour all of our resources into a precious few urban centers, 2018 offers an opportunity to branch out and reconnect with voters across the state. As this week’s victory in Alabama shows, there’s no better place to start on this journey than with the state’s many rural black communities. Thanks to a strong, dedicated organizational network, much of the infrastructure is already in place to reach out to these communities. But Democrats have to make the first move. Especially for statewide candidates like those running for U.S. Senate, Governor or Lieutenant Governor, now is the time to build these connections and plan for a true statewide campaign. In the interest of this issue, Texas Leftist has created a special graphic. 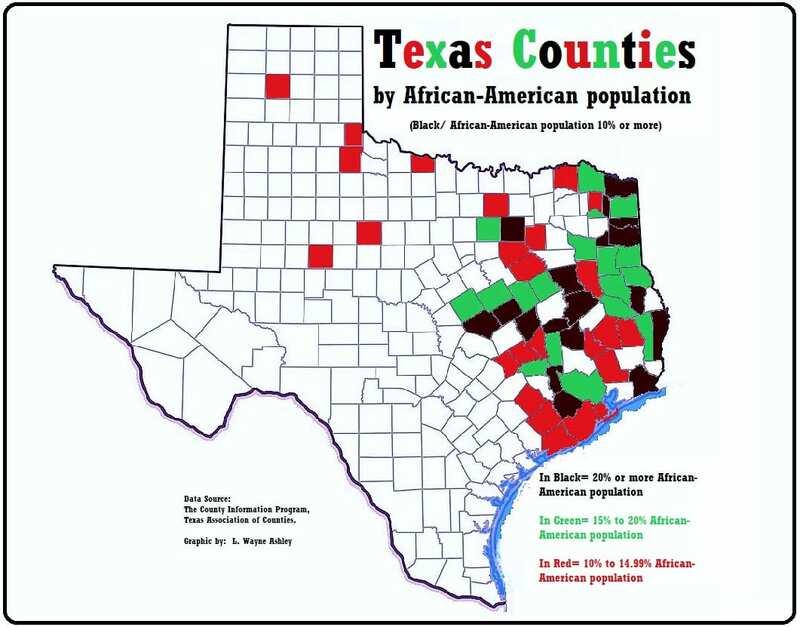 Using data from the 2016 US census estimate and compiled by the Texas Association of Counties’ County Information Program, the graphic shows counties which have an African-American population of 10 percent or higher. Maps like this one could help to reveal additional opportunities for candidates, especially those looking to mount a statewide or State Senate election. As you can see, there are many strong African-American communities in areas of rural Texas. In Black: Counties with African- American Populations of 20 percent or more… Anderson, Bell, Bowie, Dallas, Falls, Fort Bend, Gregg, Harrison, Houston, Jefferson, Madison, Marion, Morris, Newton, Robertson, San Augustine, Walker and Waller. 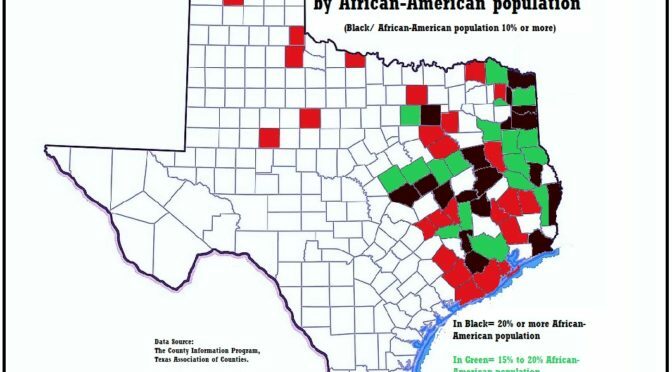 In Green: Counties with African-American Populations of 15 percent to 19.99 percent… Angelina, Camp, Cass, Coryell, Freestone, Grimes, Harris, Jasper, Limestone, McLennan, Nacogdoches, Panola, Red River, Shelby, Smith, Tarrant and Washington. In Red: Counties with African-American Populations of 10 percent to 14.99 percent… Brazoria, Brazos, Burleson, Cherokee, Childress, Colorado, Cottle, Denton, Ellis, Galveston, Jones, Kaufman, Lamar, Lee, Liberty, Matagorda, Mitchell, Navarro, Polk, Potter, San Jacinto, Titus, Tyler, Wharton and Wichita. With information like the above and in the previous post, Democrats and Progressives running for statewide office can better utilize their resources and construct a campaign that reaches beyond the traditional urban strongholds, to voters ready to carry their message forward. Thankfully some candidates have already gotten the message. El Paso Congressman Beto O’Rourke, who is challenging Ted Cruz for Texas’ seat in the United States Senate, pledged back in April to visit every single one of the massive state’s 254 counties. He’s off to an impressive start, having visited 155 counties as of last month. But even in the case of his trailblazing campaign, information like the above may be of benefit. So there you have it. Even days before the new year, 2018 has already gotten very interesting for Texas Democrats. Let’s hope the party can use the momentum to its advantage, and help create a better state for us all. Trust me, there will be plenty of time to discuss all of that. But on days like today, I think it’s better for our collective mental and emotional health to conserve our energies, and hit some music. A favorite artists that has helped me to cope as of late? R&B phenomenon SZA. 2017 has been the breakout year for this artist, with her debut studio album CTRL hitting number one on the Billboard R&B chart. As captivating as her music is for it’s innovative soundscape, songs like The Weekend have also drawn their share of discussion and even controversy. Written from the perspective of a woman having to share a man that is already in another relationship, the work has often been referred to as a “sidechick anthem”, though SZA herself clarifies to say it is not. In any case, the discussion has been vigorous, so interpret for yourself… ..
Much like the way Republicans in Congress tend to treat their constituents, one has to wonder if today’s tax giveaways serve as proof that the American People are the GOP’s ‘sidechick’, while the real people they’re working for are those mega-rich donors?? Oh, wait… did I just go back into the tax bill again? 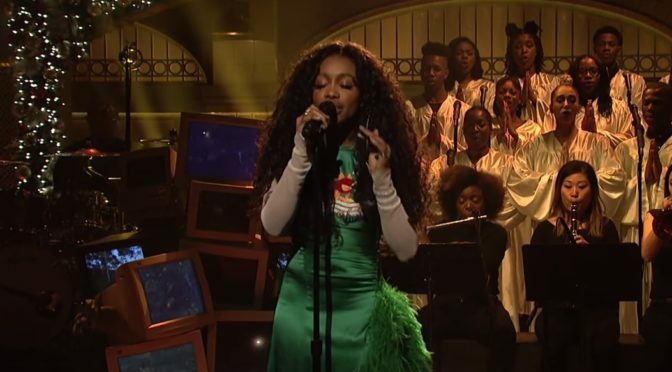 Well, anyway… here’s an epic performance from SZA. Is Houston REALLY About To Be Bigger Than Chicago?? Actress Diane Guerrero Tells Her Story: "My Parents Were Deported"
So Many Prisons. So Many Shattered Lives. The Ingressive Voices Podcast– Check It Out!! Could A ‘Green New Deal’ Work, Even For Texas? ?